Tirupati Structurals Limited are leading manufacturer, supplier and exporter of PVC Plumbing Fittings. 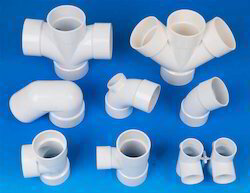 Being one of the renowned organizations in the industry, we are highly engaged in manufacturing and supplying a unique range of PVC Plumbing Fittings. Offered pipe fitting is well-manufactured by our highly experienced professionals using the qualitative grade PVC material and high-tech machines. We make sure our clients that this fitting is thoroughly checked for quality on diverse quality parameters. This fitting is offered in different sizes as per the choice of clients. Packaging Details: Good quality Carton box packaging. We are leading supplier of Moulded Fittings.The product is made of good quality. 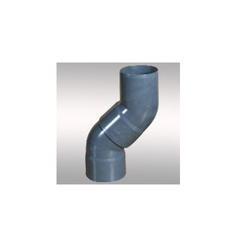 We are the leading supplier of PVC Fittings made from high quality material at competitive prices.